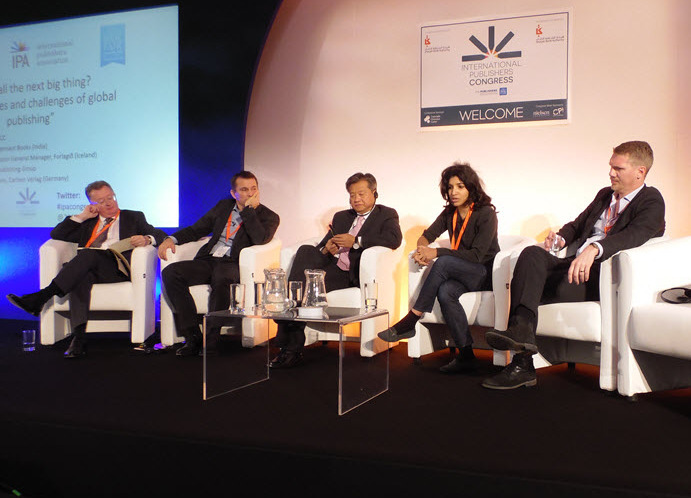 Dichotomies of local and global, major and modest, resonated throughout the International Publishers Association’s 31st Congress, convened in the run-up to London Book Fair. 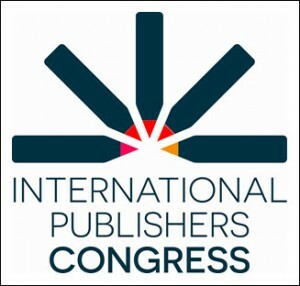 As charmingly logical as Hachette Livre CEO and Chairman Arnaud Nourry’s comparison of winemaking and publishing seemed, the question he asked was answered Sunday in the International Publishers Association’s (IPA) 31st Congress by a multiple testaments of local-over-global interests. This is not to say that one vineyard’s best vintage is the next estate’s grape juice, but many publishers speaking on panels during the day found themselves emphasizing how differently their markets are positioned, albeit in the context of the global viewpoint represented by the IPA’s service to the international community. Sarkar encouraged the gathering of several hundred publishers at Olympia London to use new technologies to learn who their readers are, who consumes their output, to bring the readership into better focus. 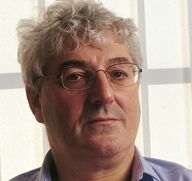 It was the other major force on stage early in the day — Hachette’s Nourry — who triggered some considerable consternation among many delegates by suggesting that IPA President Richard Charkin may have made a mistake of some kind in accepting the application of the Chinese delegation at Frankfurt Book Fair for membership in IPA. Nourry’s reference was apparently to the incidents of Hong Kong publishers disappearing for some time near the end of last year and into the early part of 2016. 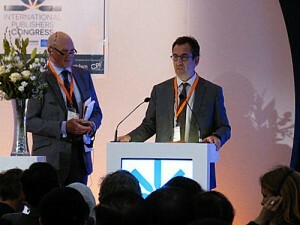 And in a follow-up question from the conference floor, Nourry was questioned about his comments by a Chinese delegate. 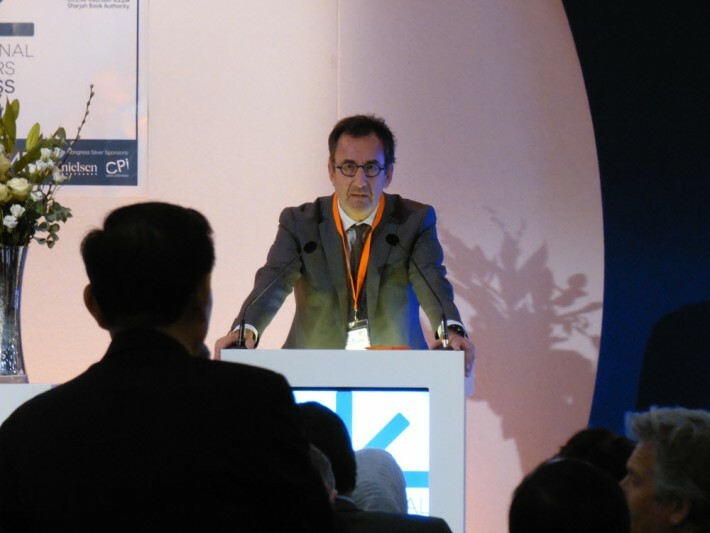 Hachette’s chief seemed to be at pains to clarify that he had not meant to criticize Charkin, nor that he was unhappy that China’s publishers are members of the IPA. Nevertheless, the commentary about Nourry’s comments in “the halls” — the networking conversations during breaks — was decidedly mixed. “The Bookseller reported in January that that the IPA membership remained deeply split over China’s admission, with the German Publishers & Booksellers Association, the Börsenverein des Deutschen Buchhandels, deeply concerned. “China was elected democratically to membership of the IPA, so it’s not [a] question of whether or not I regret it. 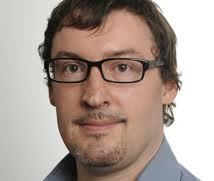 “As recently as five years ago, all manner of self-proclaimed experts predicted the demise of the printed book. Publishers, they said, would at best have to scrap their distribution facilities and become little more than online marketers. At worst, they would disappear altogether, swept away by the wave of self-publishing. “It just did not happen. “We are the only “media” industry to have successfully ridden the first digital wave. It would soon fall to two women of comparatively ground-level operations to testify to that potential Nourry described for books speaking beyond their own industry. In a panel ably hosted by Nielsen’s Jonathan Stolper — with a quick update on international statistics in youth reading — approaches to the readers of tomorrow were given urgent eloquence. Hermione Ireland was on-hand to talk about the Worldreader program, based in San Francisco, and available to as many as 16.5 million people in its work to make a digital library of literature available to readers in Ghana, Kenya, Malawi, Rwanda, South Africa, Tanzania, Uganda, Zambia and Zimbabwe. Ireland cited a 178-percent uptick in library usage in areas served, and more than 27 million hours of reading since the launch of the program. And the Emirati publisher and literacy advocate Bodour Al Qasimi spoke of founding Kalimat, the first house dedicated to publishing children’s work in Arabic. Bodour’s messaging falls along the lines of the growing digital-age awareness of the importance of the reader and the writer. And to that end, she stresses the need for publishers to understand what’s who the consumer is and what that consumer wants. Bodour spoke about going to a refugee camp in Jordan and being convinced of “how important it is for those kids to have books.” Her response, in that instance, was to conduct workshops on-site and to donate a library of some 3,000 titles to the camp. The print book will persist, Bodour agreed with most of the speakers of the day. But publishing, she said, must stay ahead of the game. “This is not business as usual.” And while agreeing with other speakers, Worldreader’s Ireland included, that “kids are really distracted today,” she’s concerned — in part because her own daughter once told her that books are “boring” — that the publishing industry find out what its crucial younger audience is looking for. “In the Arab market, you know that our book fairs are consumer book fairs. So as publishers we spend a lot of time interacting directly with our consumers. This gives us first-hand knowledge of what our readers really want. So important does Bodour see this close, listening role for publishers that she closed her statement by issuing a call to the IPA to commission a study on who the readers of 2030 and 2040 will be. “If we’ve learned any lessons since the start of this revolution, it is that we have to be ahead of the curve, we have to be a step ahead, it’s a must and not a luxury. What kind of readers are we going to have in 2030 or 2040? I’d like to know that. I’d like to suggest that we commission a report on what the future trends of reading are. How will we consume books? Once we have that data, we can convene and create the best strategy for our industry, for what’s coming ahead. By this point in the afternoon, we had seen and heard from more of the “small” talking to the big, new talking to the old, mission talking to power. Considering the organization’s global outlines, the arc of the day at the International Publishers Association’s 31st congress was one that turned on smaller efforts, voices, contexts from Singapore (Fei Chen Lee-Head) to Turkey (Elif Shafak); from Egypt (Alaa Al Aswany) to Nigeria (Bibi Bakre-Yusuf); and from Charlie Hebdo attorney Richard Malko’s blistering indictment of European Commission legislative communication on copyright to Pen International John Rauston Saul’s concern for non-state action that a state refuses to step in and prevent. If this was “agonizing” over books, it was valuable agonizing. And repeatedly, the mandate for local success to fund global progress — and for the hope of change that might start in small places, among young or under-served people, and scale up into international impact — never left the room. Jacks Thomas’ direction of London Book Fair’s welcome to the IPA proved to be a smart move. In a year when no single country is here as the “market focus” of the week (Poland will take that role in 2017 at LBF), the IPA’s exercise was always cordial but frequently forthright, and little ground was given on important points. The event’s sponsors included Nielsen, Sharjah Book Authority, and CPI. “In the city, streets belong to man. But women definitely read more and make people around them read more,” Turkey’s Elif Shafak told us near the end of the day, as she spoke to the importance of social media in bringing issues and solutions to light. “We learn from each other,” Elif Shafak told us. And so we did. After the conference on Sunday, the IPA conferred its newly renamed Prix Voltaire on Saudi dissident Raif Badawi.